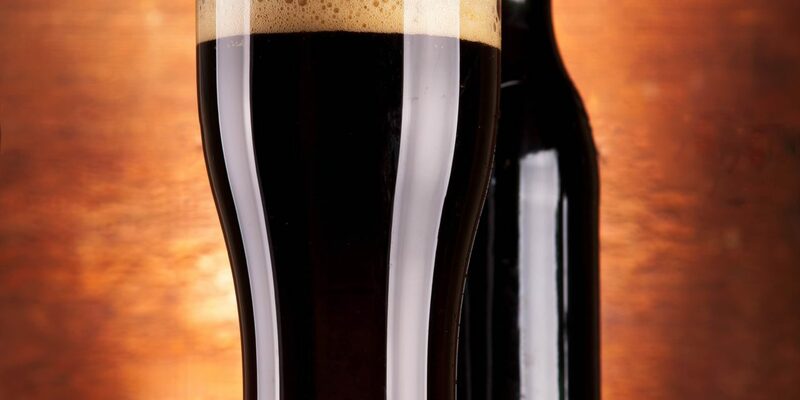 There is much debate, particularly among homebrewers new to the hobby, about whether or not ordinary cane sugar should be used in the make up of their beers. After all, most people get involved in the hobby by way of a homebrew kit (essentially a hopped malt extract) that weighs in at around 1.7 to 1.8 kg and ferment this with some 1.0-1.5 kg of cane sugar dissolved in with the kit… ‘as per the instructions on the tin’. The question is… “Is this good practice or not?”. Well, the best way to make the judgement call about sugar and how much is acceptable is to look at the effect it has on a typical brew and that is what this page aims to do. Yeast and Sugar = Alcohol and CO2! All alcoholic beverages involve the conversion of simple sugars to alcohol and carbon dioxide gas by the action of yeast. 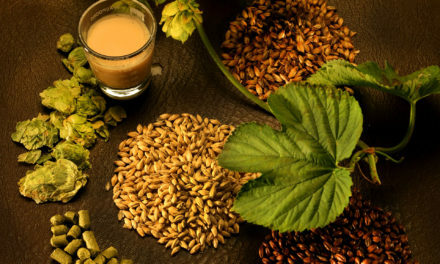 In the case of beer these sugars are mainly derived from malted barley and are extracted from the grain by a process called mashing in which the grain is steeped in warm water for about 90 minutes to produce a solution known as brewers’ wort. The sugars so obtained are varied and only some of them are able to be broken down (ie. fermentable) by the yeast to yield the alcohol and CO2. Typical fermentable sugars are sucrose (table sugar), glucose and maltose whereas the so-called dextrins are largely unfermentable. An all grain brewer mashes his/her own grain and so derives the sugary solution. 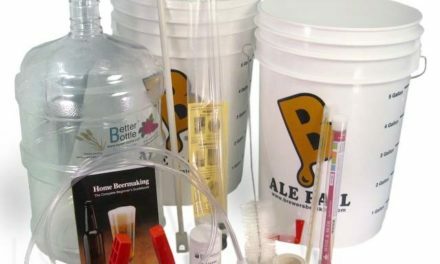 A kit brewer purchases a concentrated form of this solution called malt extract or if it has been briefly boiled with hops will be referred to as a ‘homebrew kit’. The kit or extract brewer simply adds hot water to reconstitute this syrup into brewers’ wort. One of the most basic concepts in brewing is that of the “specific gravity” or SG of the beer. This is best thought of as the mass (in grammes) of one millilitre (cubic centimetre) of the liquid. For example, water has an SG of 1.000. This means that one cubic centimetre of water weighs one gramme. However, if we were to dissolve some table sugar in a sample of water we would not significantly increase its volume but we would cause an increase in its weight and hence density (weight per unit volume) as a direct result of the dissolved solids now present. In making beer we start by creating a ‘sugary solution’ termed the ‘wort’ which is essentially water with a complex mix of various sugars and other compounds all in solution. By using a hydrometer we can actually measure the SG of this wort and hence get an idea of how many dissolved solids are within it. A typical ‘starting SG’ or ‘original gravity’ (OG) of a beer would be 1.040, meaning a solution 1.040 times more dense than pure water. 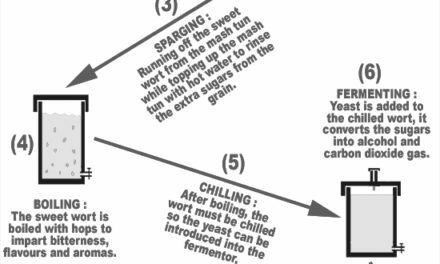 During fermentation, the yeast convert most of the “sugars” into alcohol and carbon dioxide gas and in so doing, the SG of the wort drops as it is converted into beer. Different sugar sources ferment more readily than others and hence after fermentation it is possible to remeasure the SG, now termed the ‘final gravity’ (FG) and estimate what amount of the available sugar has been fermented away. The amount fermented away can be determined by calculating the difference between the OG and the FG and this, in turn, can be used to calculate the alcohol content of the finished beer. The sugars derived from malted barley (or malt extract syrup) are approximately 62% fermentable, meaning some 38% of their weight stays behind in the beer to provide colour, body, flavour and aroma. On the other hand, cane sugar is 100% fermentable and provides only alcohol in the beer, contributing nothing positive to the flavour and aroma. It does however have a significant impact on the beer’s FG and this is now demonstrated and is really the crux of the question we are trying to answer. The following table details the amount of malt extract and sugar that would be required to produce 24 litres of a wort with an OG of 1.040. The data is calculated such that the OG is always 1.040 and, depending on the relative amounts of malt or sugar that were used, the FG and alcohol are calculated. Table format : OG – FG & Alc. %. This data is repeated in graphical form at the end of this document. 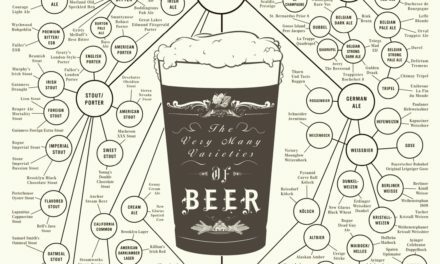 It can be clearly seen that an all malt beer (ie. 100% malt extract) brewed to a 1040 gravity will ferment down to approximately 1010 with some 4.1% alcohol. In contrast, a 1040 brewed with a 50/50 mix of malt extract and sugar will ferment to a gravity less than water (999 = 0.999) but with a much higher alcohol content (5.5%). Higher OGs lead to higher alcohol contents whereas lower OGs lead to lower alcohol content. Higher FGs mean that significant amounts of material remain in the final beer which contributes to a fuller bodied, more flavoursome and aromatically complex beer. After all, its the things that remain behind that create the flavour and aroma characteristics of your beer ! Get the drift ?!?! However, sweetness should always be balanced by the correct amount of bitterness from the hops so even the highest FG beers can appear somewhat bitter if heavily hopped. By way of comparison with common commercial beers, most are fermented from worts of OG 1035 – 1050 to an FG of no less than 1006, with many being in the range 1008-1010. So, take a look at that data again and make your own mind up as to how much sugar you should add! By way of an example, if 4 000 g of malt extract syrup was dissolved in water to a total volume of 24 litres, the formula yields a value of 44.5; this in thousandths so divide by 1000 and add 1.000 to reach an OG of 1.0445. This is usually rounded to the nearest one thousandth as OG = 1.045. By way of an example, if 4 000 g of cane (table) sugar was dissolved in water to a total volume of 24 litres, the formula yields a value of 55; again, this in thousandths so divide by 1000 and add 1.000 to get an OG of 1.055. Similarly, if Me grammes of extract and Ms grammes of sugar are simultaneously dissolved in hot water to a total combined volume of Vw, the OG would simply be the sum of the two separate OG numbers :- eg. 3161 g of malt extract syrup and 351 g of sugar dissolved up to a total combined volume of 24 litres would yield a wort of 1.040 ((35.2+4.8)/1000+1.000). To calculate the FG we need to know what % of the sugars from each source are fermentable and the numbers are 62% for malt derived sugars and 100% for ordinary cane sugar. Hence (62/100)x35.2 = 21.8 of the malt derived sugars will ferment away as will (100/100)x4.8 = 4.8 of the cane sugar, a combined total of 26.6. The final gravity would therefore, in theory, be 1.040-1.0266 = 1.0134. However, the alcohol that has been created has an SG of only 0.8 compared to pure water and this essentially “thin downs” the apparent gravity of the beer. To account for this we need to multiply the lost degrees of gravity (26.6) by the magic number of 1.23, giving a value of 32.72 (round to 33) degrees lost and then subtract this from 1.040, ie. 1.040-1.033 = 1.007. This latter figure is the predicted FG of your beer. The starting SG (i.e. the OG) is always 1040, irrespective of the amount of sugar added (i.e. the malt extract amount is downed to compensate each time). The solid line going from top left to bottom right indicates that increasing your sugar content will work to decrease your final gravity and hence the beer’s body, mouthfeel etc. (See the left hand vertical axis for the ‘final gravity’ scale). The above analysis is maybe a little technical for some people but its all there if you take the time to read it through and understand it and, heck, if feeling lazy, just look at the graph above! As a club we would say stick to the recipe where you know you are making something that should have sugar in it, e.g. some English beers rely on small amounts say 10-20%, some Belgian beers also do although they often use special sugars. … Below 20% if you absolutely have to have sugar in it. … Below 10% if you feel lost not putting at least some in. … Leave it out entirely if you can . . . Otherwise, if you’re making a malt extract or kit based beer, our suggestion would be again no more than 20% but replace the rest with more of the extract or kit, yep, that’s right, chuck in two kits to the same batch. Get your yeast and oxygenation right and you’ll be pleasantly surprised ! As a caveat, I would add that often homebrewers do not have sufficient yeast or sufficiently viable yeast with which to brew with. Under these circumstances the 20% sugar can assist in reducing the final gravity and hence sweetness of the beer. Double-edged sword stuff though … see next point ! Also, keep in mind that one of the side effects of too much sugar is the “cidery” taste found in SO MANY homebrews . . . if you get this then down the sugar and up the yeast volume and viability. So if you didn’t spot it, nothing should be considered in isolation and to improve your beer the above advice will be all the better if you take into account some improvements in your yeast management.